« April Showers Bring Five Fun Crafts! This kitchen is still bright and airy with natural wooden counter tops and distinctive dark cabinets. 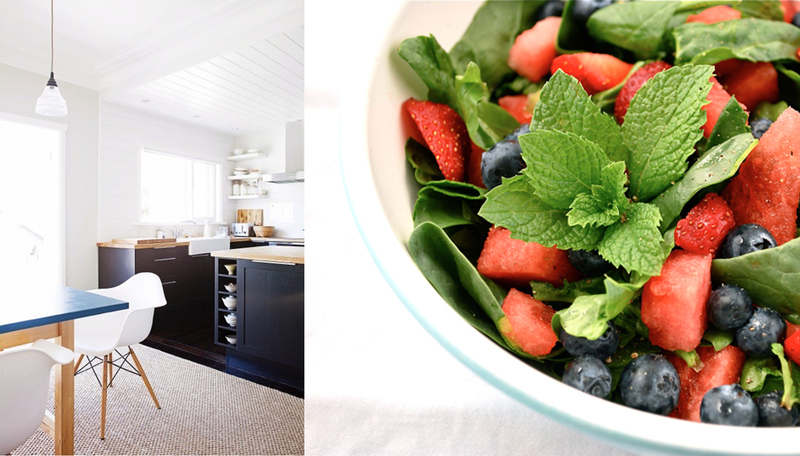 We’d like to munch on a watermelon and blueberry spinach salad here! 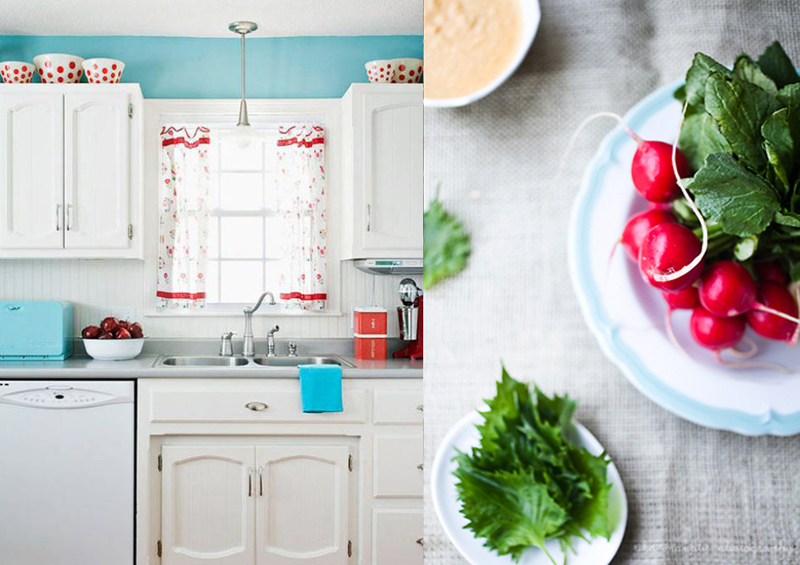 We’d like to make a spring salad with carrot ginger miso dressing in this whimsical kitchen! 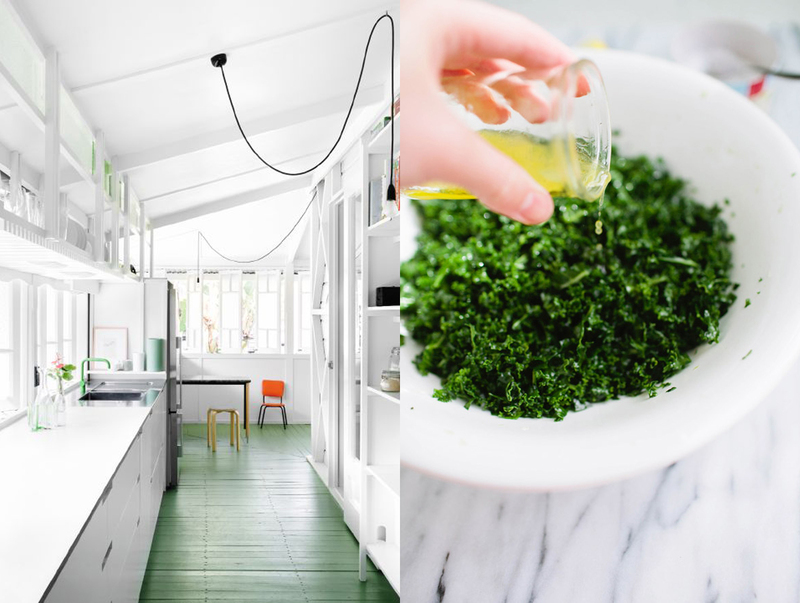 How about a refreshing massaged kale salad in this funky modern kitchen? 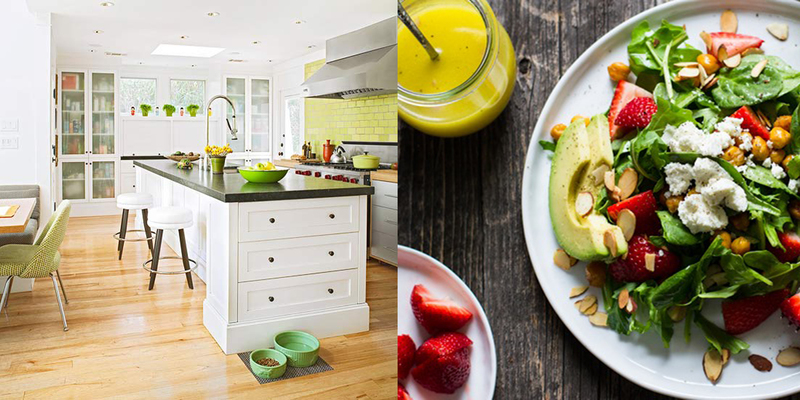 This cheerful kitchen is the perfect place to prepare a tasty strawberry spring salad with lemon roasted chickpeas and lemon shallot dressing! 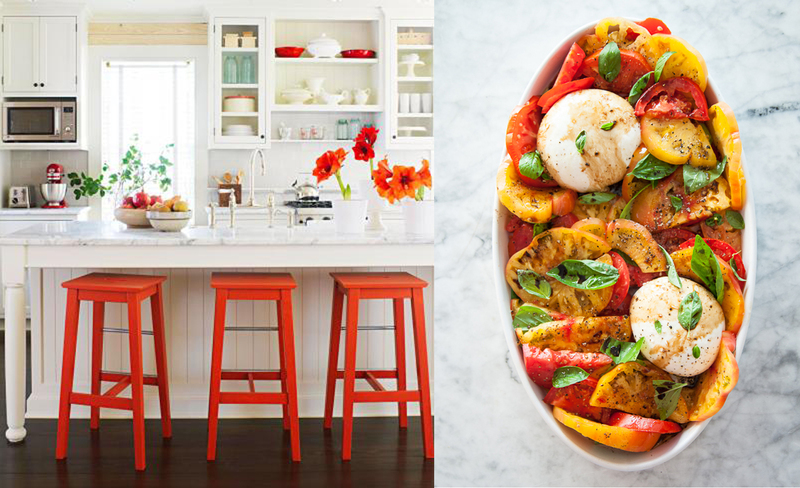 We love the warm accents and open shelving in this kitchen, and we wouldn’t mind digging into a burrata and heirloom tomato carprese salad here! Yum! What’s your favorite spring salad?